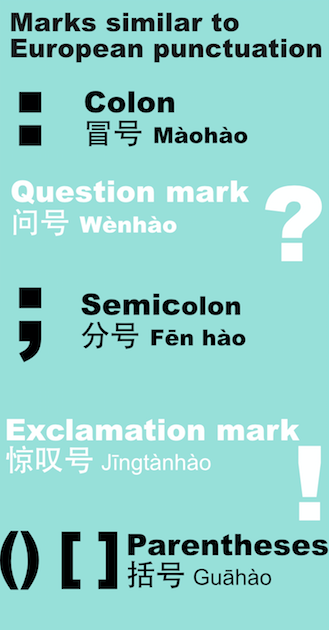 Since the launch of our website, many people have downloaded our free infographics, including the Chinese Punctuation infographic. Here, we would like to give you an example of how to use this infographic as a teaching tool in your classroom. 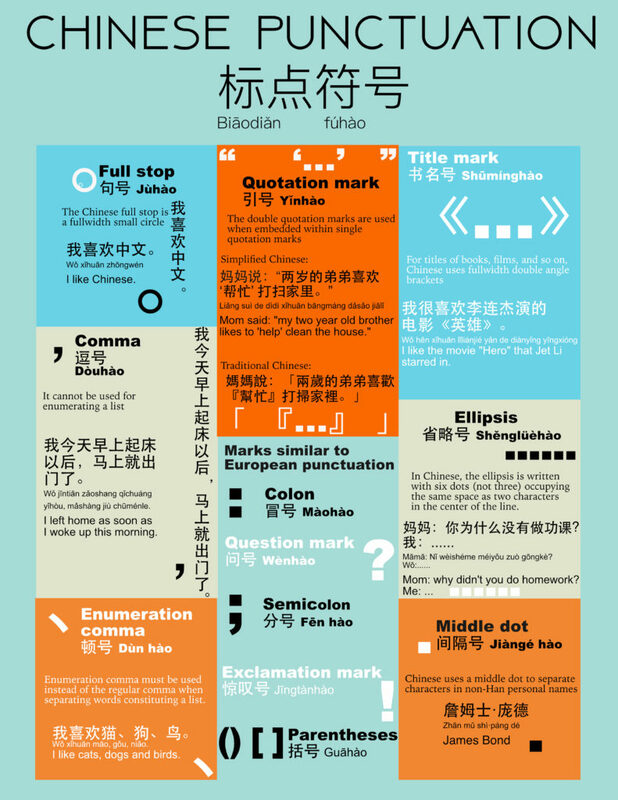 In this infographic, you can teach students 12 of the most common Chinese punctuations. Having the same function as a period, the shape is a bit different than in English. 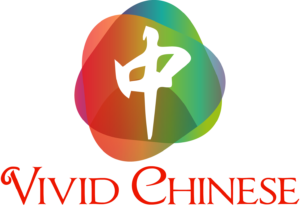 The Chinese full stop is a full width small circle. Positionally, in both vertical and horizontal text, the 句号(Jùhào) is aligned to the bottom and right of the last character in the sentence. 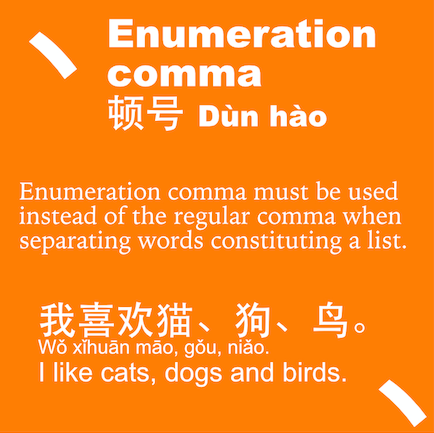 The usage of a comma in Chinese is similar to that in English, but a big difference is that in Chinese, the comma cannot be used for enumerating a list. We have another punctuation for it (see the next punctuation). The enumeration comma must be used instead of the regular comma when separating words constituting a list. 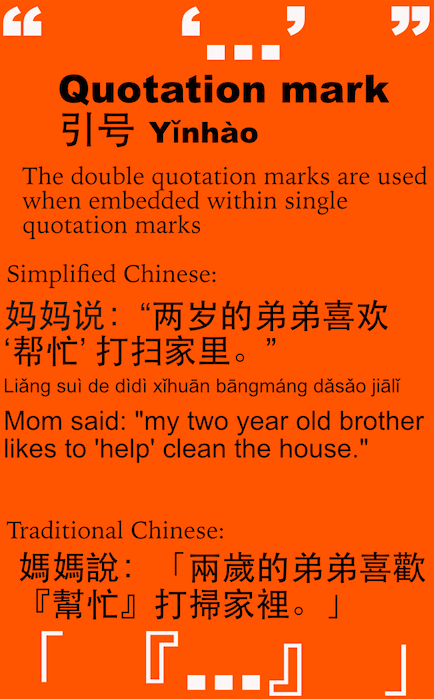 Since quotation marks are completely different in simplified and traditional Chinese writing, both of them are introduced in the infographic. 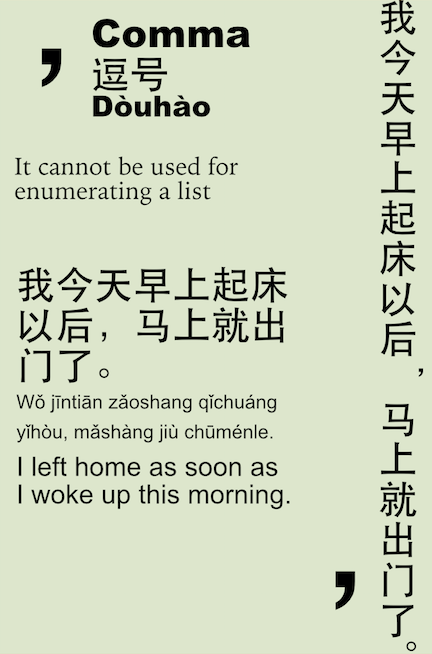 In simplified Chinese, the format is the same as in English: “ … ‘…’ … ”. 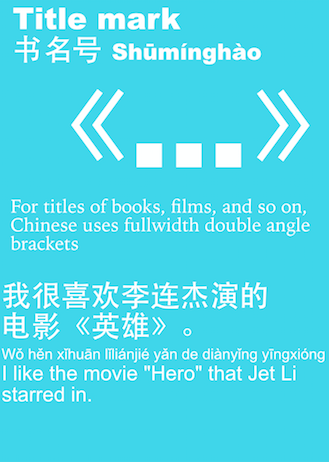 In traditional Chinese, brackets are used instead:「 …『…』… 」. Here, we’ve grouped together 5 punctuation marks because of their similarity to Western punctuation. The shapes and the usage are all similar to Western punctuation. This punctuation literally means “book name mark,” and it is used for titles of books, films, and so on. Full-width double angle brackets are used. 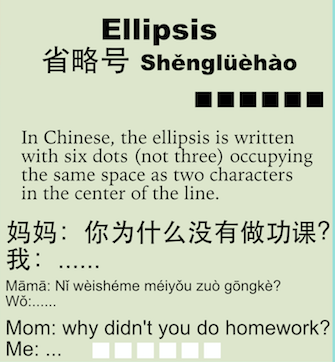 In Chinese, the ellipsis is written with 6 dots, instead of 3 in English. The ellipsis occupies the same space as two Chinese characters. 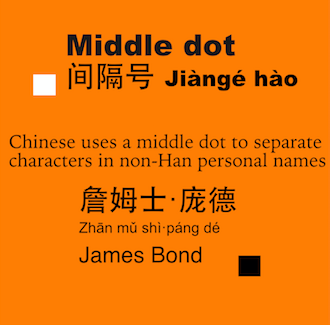 Chinese uses a middle dot to separate characters in non-Han personal names. When we translate and write a non-Han personal name, we put a middle dot between the first, middle, and last names. As you can see, this infographic contains a good amount of information. As a teacher, this infographic can save you some prep time. You can simply show the students the infographic, then teach a class on these 12 punctuations. The infographics featured on this website are all designed similarly. Each infographic contains a lot of information with helpful graphics. These graphics, then, are a powerful tool for memorizing the detailed information. If you have any questions, comments, or feedback, please don’t hesitate to write a comment below or contact us. Sign up to get updates on new infographic releases. Thank you for signing up! Please confirm through your email link.